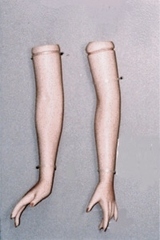 26 inch heads designed for the 26 inch sized Childhood Fantasies lady doll with cloth body and porcelain breastplate, arms and legs. 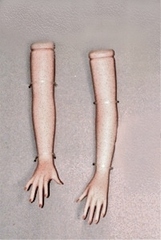 As well as for use on the 21 inch all porcelain lady body. 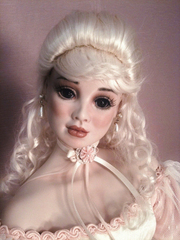 The finished all porcelain doll will be 23 inches tall. Blank (unpainted) heads are $25.00. Allow two weeks for heads listed as blank to be painted.